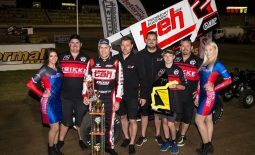 Run in conjunction with the Australian Open over two nights at Brisbane’s Archerfield Speedway in Queensland, the sixth WSS Championship round didn’t quite get underway as planned, with the track conditions on night one providing plenty of challenges, but Madsen and the team rose to the fore. 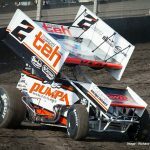 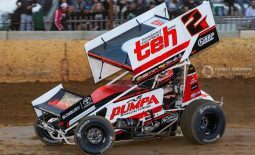 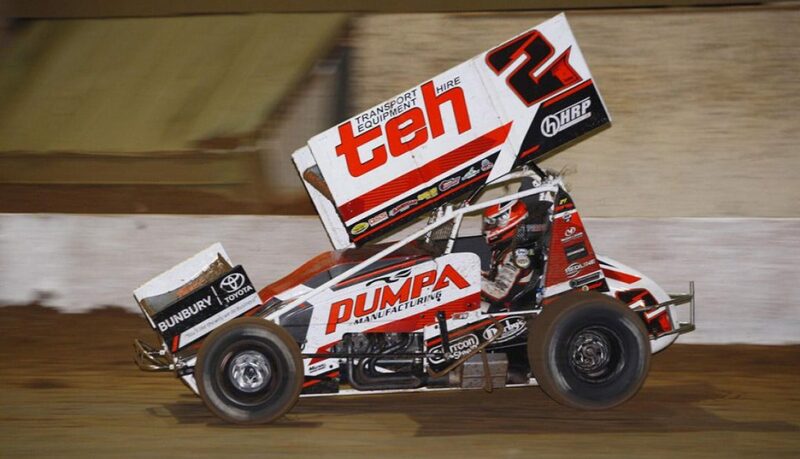 Being forced to qualify for Friday night’s preliminary feature race via the B main, placing second, the Bunbury, WA-based team rallied behind the current and four-time Australian Champion, who moved forward from position 16 to finish in seventh. 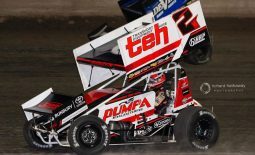 Regrouping for Saturday night’s competition, Madsen and the team, who were sitting 10th in the weekend’s point standings after night one, showed great hustle, qualifying into the pole shuffle and then going on to secure a fourth-place start for the feature race. 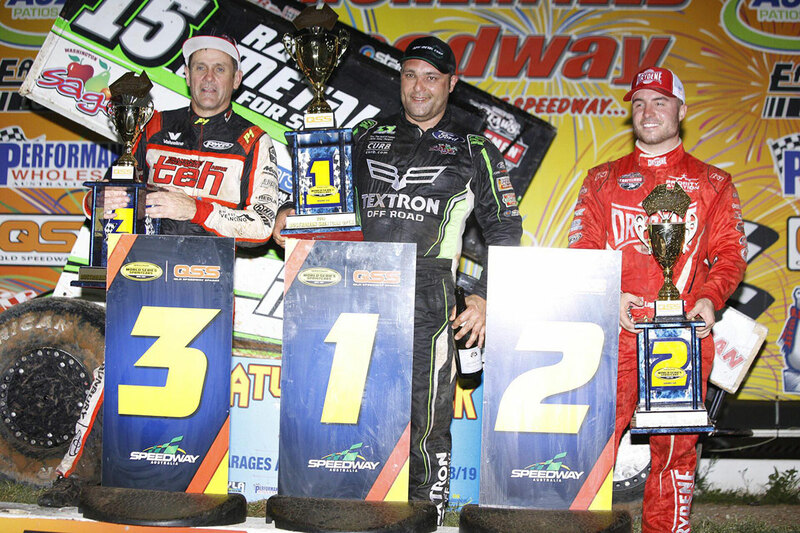 In the feature race, Madsen performed strongly throughout the 50-lap duration, which ran almost non-stop, to claim a podium finish, coming away with the final podium place in third behind Americans Donny Schatz and Logan Schuchart and capping off what was a strong comeback for the weekend. 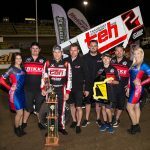 “The team and I had to dig deep after the first night, as we had a fair bit of ground to make up,” commented the WA # 2 Transport Equipment Hire / Pumpa Manufacturing supported Maxim driver. 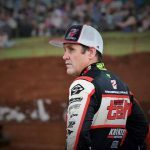 With one more race meeting set to take place in Queensland at Archerfield Speedway this Wednesday night (January 9) for the seventh WSS Championship round, the team will then travel to Madsen’s home track – Sydney’s Valvoline Raceway (NSW) – for the annual Scott Darley Challenge this Friday and Saturday night (January 11 and 12). 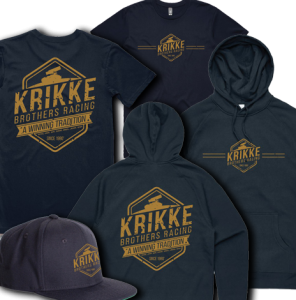 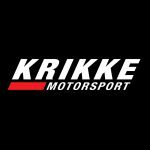 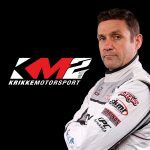 The Krikke Motorsport team would like to thank their 2018-19 season sponsors: Transport Equipment Hire, Pumpa Manufacturing, Maxwill Racing Engines, PWR Performance Products, Valvoline Oils, Bunbury Toyota, Vortex Racing Products, A. Lucas Spraypainters, Skwid Signs, Redline Media, Performance Racegear, HRP Specialties, South West Conveyancing, and Richard Hathaway Photography.